He’s moving into full-time content creation—at least, for now. One of the longest tenured Call of Duty players has decided to hang up his controller for the rest of the WWII season. Anthony “NAMELESS” Wheeler revealed in a heartfelt TwitLonger that he won’t be competing in the last few WWII tournaments. In the announcement, NAMELESS talked about how competitive Call of Duty has been a part of his life for the last 12 years. 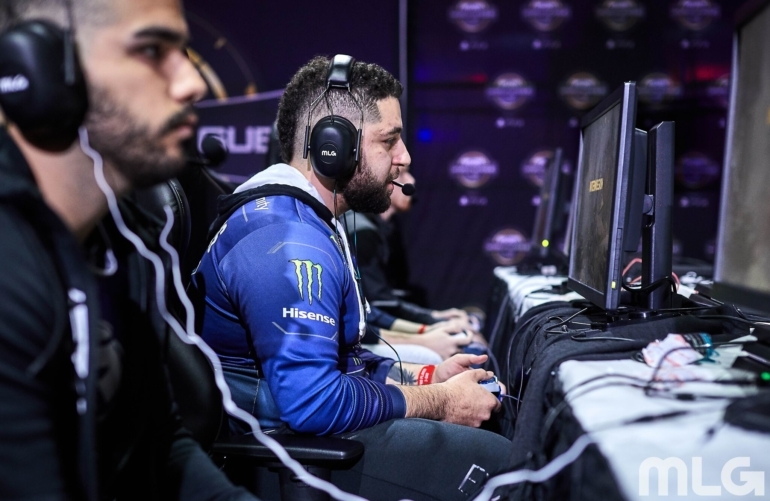 After being dropped from Evil Geniuses in early April, NAMELESS attended the Call of Duty World League Seattle Open as an analyst—and this likely played a role in his decision to stop competing at this time. NAMELESS didn’t rule out the possibility of competing again when Black Ops 4 is released this October, however. But he did discuss how difficult it would be for him to find a professional team and players to compete with for the remainder of the WWII season. Before thanking all of his supporters, the veteran mentioned that “this was the hardest decision of my entire life.” But NAMELESS still has plans for the competitive Call of Duty community. NAMELESS recently started a podcast called The CoDCast, which has seen incredible success in its first few episodes. The show features NAMELESS live on Twitch talking about the competitive Call of Duty scene with fellow professional players.